In 2013, the Oregon Transportation Commission, in line with legislative direction, took steps to address greenhouse gas (GHG) emissions from transportation sources by creating the Oregon Statewide Transportation Strategy: A 2050 Vision for Greenhouse Gas Emissions Reduction (STS). The STS was developed through the hard work of many agencies, advisory groups, and stakeholders and points to the most promising approaches for substantially reducing GHG emissions. The effort was awarded the national AASHTO Presidents Award for Planning, recognizing its unique, impactful, and groundbreaking work. Given these diverse topics, strategies fall under the authority of multiple state agencies, local governments, the private sector, and all Oregonians. 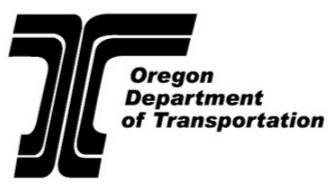 Following completion of the STS, the Oregon Department of Transportation (ODOT) developed the STS Short-Term Implementation Plan which outlines a number of near-term actions the agency can take. The five-year plan addresses seven focus areas ranging from transportation planning to intelligent transportation systems. In 2018 ODOT prepared the STS Short-Term Implementation Plan Monitoring Report that addresses actions completed and underway, as well as progress towards achieving the overall STS Vision. The monitoring report details how a number of the strategies contained in the STS have become integrated into the way ODOT does business. The report shows that many implementation activities are on track and there has been work beyond the Short-Term Implementation Plan. ODOT is actively working to achieve the STS vision and reduce GHG emissions from transportation within the activities it has authority over. Overall progress in reducing emissions, however, is hampered by a number of factors including more people driving, older and dirtier vehicles on the road, and more. The STS still serves as an excellent roadmap for reducing transportation-related GHG emissions. Continued and more aggressive implementation of STS actions is needed. ODOT is committed to its part. Across the state, reducing emissions from transportation will be a real challenge for Oregonians, however Oregon remains well positioned to make the Vision of the Statewide Transportation Strategy a reality. The 2018 Monitoring Report shows that while some advances have been made, more work, innovation and investment are needed to realize the state’s GHG reduction goal. Oregon is working to implement policies and programs that address greenhouse gas emissions in our state. Even with this great work and forward-thinking strategies like the STS, GHG emissions are still on the rise. Recently-published data from the Oregon Department of Environmental Quality shows that transportation GHG emissions increased again in 2016 — for the third year in a row. Preliminary data indicate that transportation GHG emissions for 2017 will surpass 2016.